Some dogs still seem to buzz with energy even after a good walk. Luckily, a dog treadmill may be the answer for owners who just can't seem to keep up. Even the most dedicated owners sometimes can’t give their dog enough exercise in a day. You know - you get all ready to go outside for walk, clip on the leash, open the door, and get the breath knocked out of you from a giant gust of wind and blast of rain in your face. I don’t know about your little piece of the world, but here in Ontario, Canada, winter brings sub-zero temperatures and bone-chilling cold! And then there’s the snow and ice - my poor dog’s paws can easily crack from all the salt that gets used to melt it off the roads and sidewalks. I also need to mention the problem of my dog being very unimpressed by rain. I bought her a rain coat and everything, but she still prefers to stay inside on those wet days! So yes, I love dog treadmills. And I think you will, too. 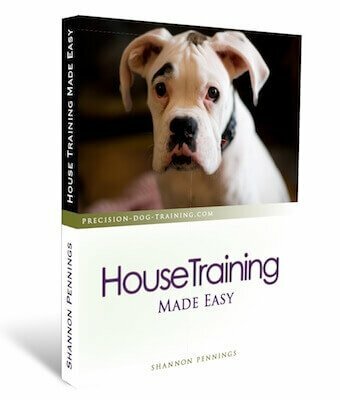 Whether you want to buy the best canine treadmill out there or plan to use the one gathering dust in your basement from after Thanksgiving dinner, every dog can be properly trained to use a treadmill. Dog treadmills are great to supplement walks. Don’t confuse a treadmill with an alternative to regular, daily walks outside. Even living in Ontario, the majority of days involve a couple walks in the great outdoors. Walking or running on a treadmill is exercise, but it isn’t the same thing as an actual walk. What the difference? Dogs need to walk. They have an innate instinct to move and migrate. The act of heeling your dog on a walk also really reinforces you as the leader and your dog as as follower. Then there’s that little issue of socialization. A dog who is cooped up inside all the time and never gets to meet new people or see new things is a dog who will have a number of behavior problems. Fear of new things, people, and environments is a given, and can easily turn into aggression due to your dog’s fear. Need I continue? So yes, a dog treadmill is an amazing tool for supplementing your dog’s exercise needs, but shouldn’t be the sole means of exercise every day. If you struggle with giving your super high-energy dog enough exercise, a dog treadmill may just be the solution to keep both of you happy. Many working breeds turn to undesirable behavior when under-exercised... wait, let me amend that - ALL dogs will release pent-up energy in undesirable ways when under-exercised! Envision this: it’s been raining for two days, and because your dog hates to get wet, you haven’t been on any walks. Your usually calm dog has been barking a lot today, chewed your new peep-toe pumps, got into the garbage, and is chasing the kids around the kitchen island. Using a treadmill when there is inclement weather will give your dog the exercise he needs to be relaxed and calm. Some breeds are still raring to go after an hour long walk, while you’re too pooped to take him out again. So using the treadmill as well as daily walks can be helpful for these high-energy breeds. Treadmills are a great tool for senior dog owners or owners with disabilities, too. Without proper exercise, a dog will become overweight or even obese. This extra weight puts more stress on all of his joints, in turn causing problems such as arthritis and hip dysplasia. A tired, well-exercised dog is a happy, obedient dog! An overweight dog is also at higher risk of diabetes, heart disease and increased blood pressure, difficulty breathing, decreased liver function, digestive problems, and heat intolerance. Not to mention the decreased quality and length of life for your best friend! There are even special under water dog treadmills used in hydrotherapy for dogs with arthritis, physiotherapy for injuries, or hip dysplasia. I’ve heard wonderful things about them, as the dogs are able to regain strength and fitness by using the water’s buoyancy and resistance. There are two types of treadmills that you can use for your dog - a human treadmill or one designed specifically for canines. 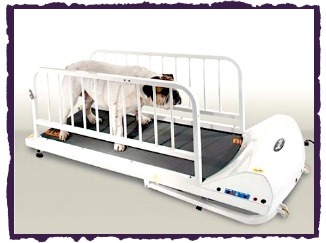 Canine treadmills are designed with your dog's safety in mind. 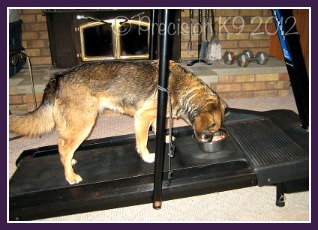 Dog treadmills are definitely the best option, albeit with a higher price tag attached usually. These machines are built to be safer for your dog, with a special belt on it that your dog can’t get his paws or nails caught in. Most also come with side rails or fences attached to help keep your pooch on the machine. But that’s not all. You can buy either a motorized treadmill or one that is dog-powered (manual, otherwise known as a carpet treadmill). The motorized ones come with a special casing around the motor to keep all that flying fur out. Apparently, many human treadmills get burned out from fur being sucked into the motor! Canine treadmills tend to be quieter than human treadmills, and you can get one that is sized almost perfectly for your dog. Now, this is not to say that a human treadmill won’t work. My husband is the master of improvising, so he rigged up a couple chairs to use as side barriers on our treadmill. This worked great for our dog, and only needs to be used for the first few weeks while training. Just make sure that the treadmill is long enough for your dog. Especially the larger breeds will require a larger treadmill to accommodate their long legs and bodies. The belt should be at least as long as the length of your dog's back while in the down position. How long it takes for your dog to be trotting along happily on a treadmill is different for each of them. But once properly trained, dogs love this form of exercise and will even jump on the treadmill and bark at you to turn it on! For starters, you need to desensitize Rover to the sight and sound of a treadmill. Understandably, some dogs are terrified at first when the belt starts moving. So before you even get to this point, get your dog comfortable simply getting off and on the treadmill while it’s not moving. Give him a small treat for showing an interest in the machine, and then another treat for putting any paws on it. I used a smelly treat to coax Justice up onto the treadmill where she then got to eat it. As she was quite timid, I also fed her meals on it for a few days so that she started to associate it with positive things. Justice eating dinner on the treadmill. Once your dog is happy getting on and off the treadmill, clip a 4 - 6 foot leash onto his flat-buckle collar. Holding the leash, have him hop up on the dog treadmill with all four paws. Now stand beside your dog (either on the treadmill as well, or beside the machine) and turn the belt on to the lowest speed. Continue using a couple treats to coax him forward a few steps, and verbally praise and encourage. I used a human treadmill, so this part was a bit tricky as there were no attached fences or rails on the sides to prevent Justice from jumping off. Here is where the dog treadmill definitely out-shines a human one. If you have this problem, too, put the treadmill against a wall, and use a chair or crate as a barrier on the other side to keep your dog on it. 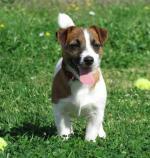 Slowly increase the speed until your dog is doing a steady, regular walking pace. Be sure to continue to hold the leash and praise! The first few times, I would only go for a few minutes at a time. But as Rover becomes more comfortable keeping pace, you can slowly increase the length of time and/or the speed. After a couple weeks of walking with you beside your dog holding the leash, you can move to the front of the treadmill (still holding the leash). Again, keep praising and encouraging, especially if he starts to lag to the back of the treadmill. Spend a couple weeks there, and then move a bit further away from the treadmill, either in front of or off on an angle. At this point, you’ll still have the leash in hand. Keep an eye on your pooch at all times... if you notice that he’s lagging a lot, panting excessively, or in any way appears tired, you should end the workout. Just like us, he needs to build up endurance over time! Once your dog is confidently walking or jogging on the treadmill without trying to get off or lagging to the back of the belt, you can remove the leash. I don’t recommend tying your dog on as it obviously poses some serious risks. Again, don’t leave your dog alone on the treadmill. Ever. Keep a close eye on him in case he gets tired. Another thing - if you have a young dog that is still growing, he shouldn’t be running or strenuously exercising. Doing so can hurt him, and create many problems for his growing body. Of course, safety should come first. Don’t ever leave your dog alone while on a treadmill! The same goes for tying your dog to it - I don’t recommend doing this as it’s just too easy for your dog to be injured or even strangled. And you know how you start your own workout by warming up and then cooling down afterwards? You should do the same with your dog! Wait at least an hour after feeding your dog to put him on the treadmill to prevent bloat or twisted stomach. It’s also a good idea to limit water before and after a workout for the same reasons, as well as to prevent any puddles on the treadmill. Take your time with this training. You want your dog to love the treadmill, not hate it. Some dogs may need a few days to be comfortable with the sound and motion of the moving belt, while others will be on there and looking like it’s no big deal almost right away. 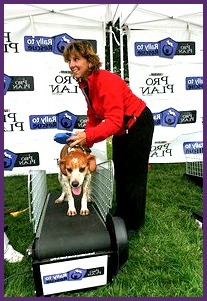 One last tip for training on a dog treadmill: don’t ever give corrections on the treadmill. As I said, it’s important that your dog is completely comfortable with the machine. It’s also not safe for your dog to wear a training collar, such as a martingale, choke chain, or prong collar, while exercising here. You don’t want to risk hurting your dog if the collar was to get caught on anything! Instead, use a flat-buckle collar or a harness. So while a treadmill shouldn't take the place of daily walks outside, it can be an awesome tool for giving your high-energy dog what he needs. It's also great for owners who aren't physically able to provide enough exercise for their pet. Properly train your dog to use a treadmill, and soon he'll be begging to go on it!